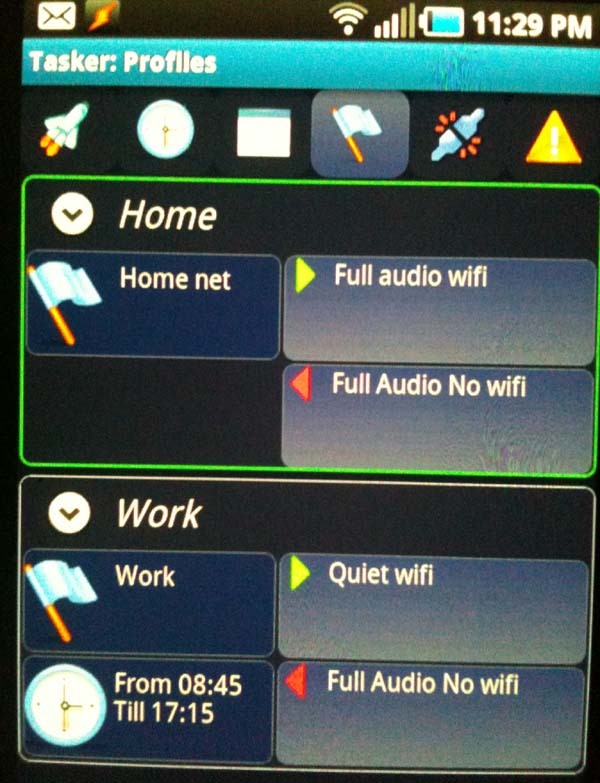 I use my phone for my job which requires me to be on-call and receive phone calls and SMS text (pages) from work. 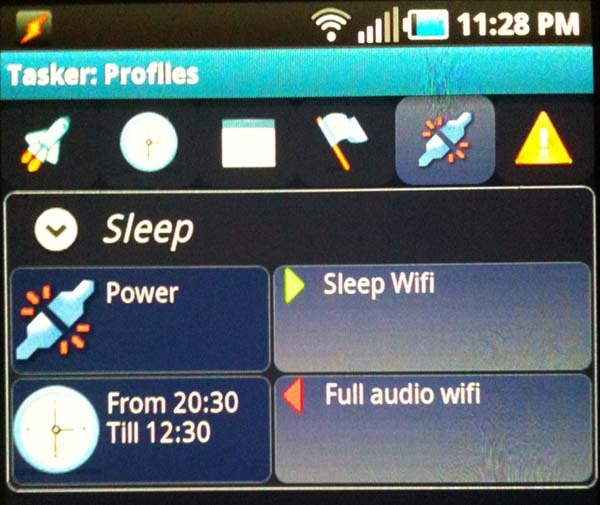 At night however, I use tasker to put my phone into a profile which has no sounds to avoid friends from texting me or calling me in the middle of the night. 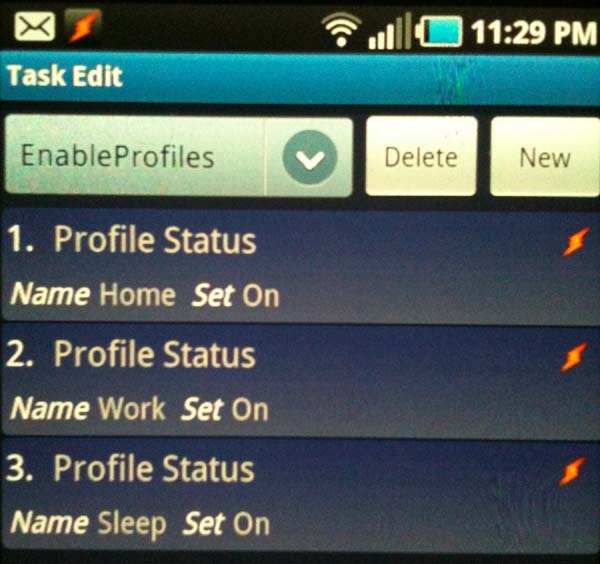 Follow this setup to allow SMS texts to come through as audible and repeat no matter what your current profile. I am assuming you do not put your phone into dock mode where the screen constantly stays on. 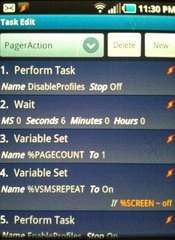 If you do, you will have to modify the condition on how you set the %VSMSREPEAT variable below. 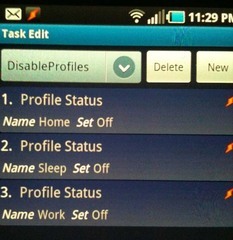 Sleep Audio - this tasks is what to do when you go to sleep/work when you want your phone to be silent/quiet. 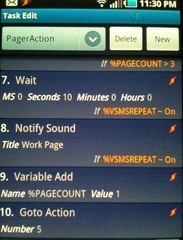 PagerAction - this is the magic. See below on how to create it. 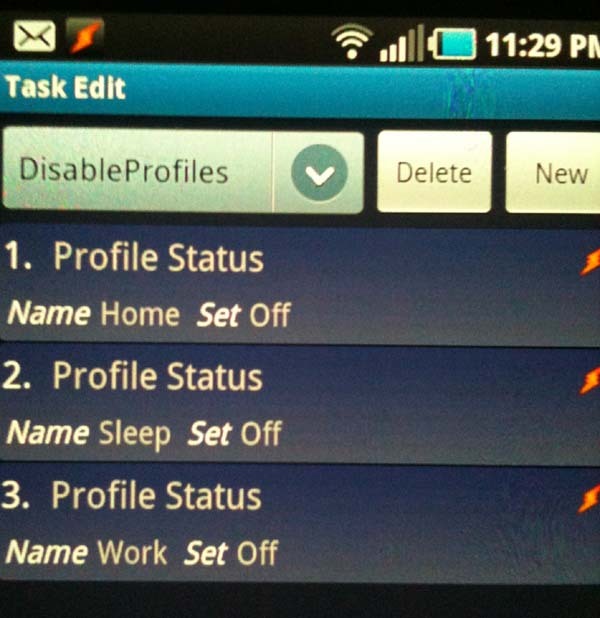 DisableProfiles - does what it says. 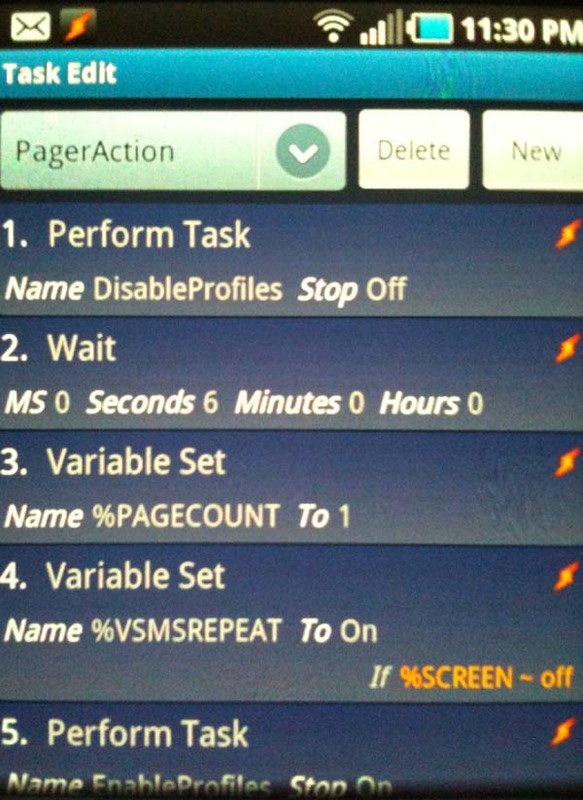 EnableProfiles - does what it says. 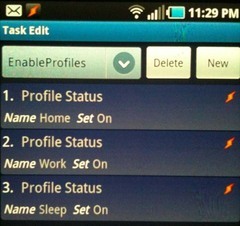 HOME - this profile is your full audio profile. You need at least one profile that has full audio for this to work. 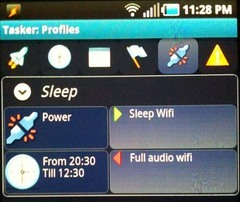 SLEEP - this is your silent mode profile. 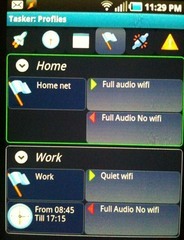 This wiki doc is pointless to you if your phone is never in silent. 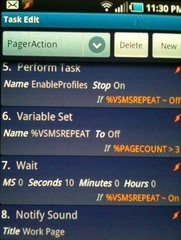 %VSMSREPEAT - controls whether to repeat the SMS alert. I put some other settings in here like WIFI On. You can add as you see fit but for the scope of this doc it is audio only. Create a profile however you want. I personally create mine on cell tower location. Create a profile however you want. I personally create mine on AC Power and From 11pm - 10am. 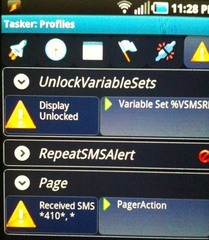 Create an action profile for Display Unlocked. You can filter your mesage too here if you want. 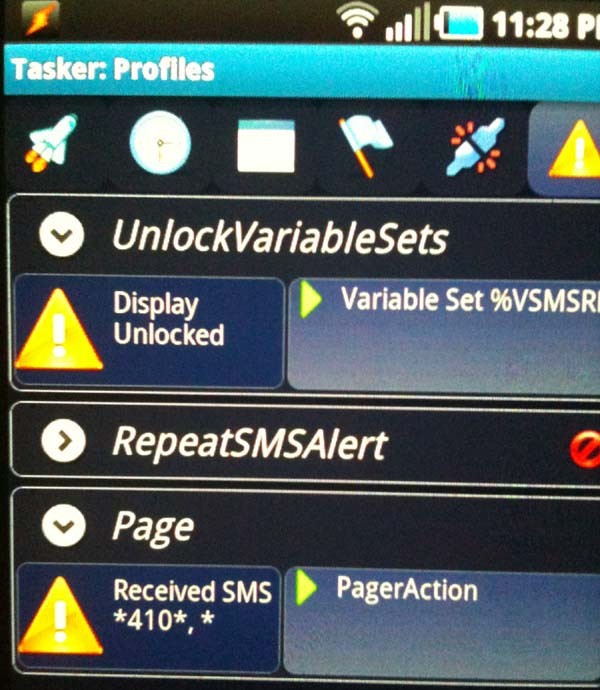 If you did it right, when an SMS comes in and your phone is on a silent/mute profile it will switch to a full audio profile, repeate an sms alert 3 times, and then go back into a silent profile again.